HUDCO – a PSU miniratna – has scheduled its IPO to open for subscription on 8 May. Investing in PSU public offers is mostly positive for investors and HUDCO IPO also offers a cushion for retail investors in the form of a discount of INR2 per share on its price band of INR56 – 60 per share. The company’s upcoming IPO has received positive recommendations from analysts even though high NPAs have been highlighted as matter of concern. This is something we have also noted in our analysis of HUDCO IPO, although there are several positives to compensate for this shortcoming. Here is a snapshot of what brokerage houses have to say regarding HUDCO IPO recommendations. Highlighting the specific factors like strong focus on urban infrastructure and housing, unleveraged balance sheet and ability to raise funds at competitive rates, Angel Broking has advised clients to subscribe to the IPO. 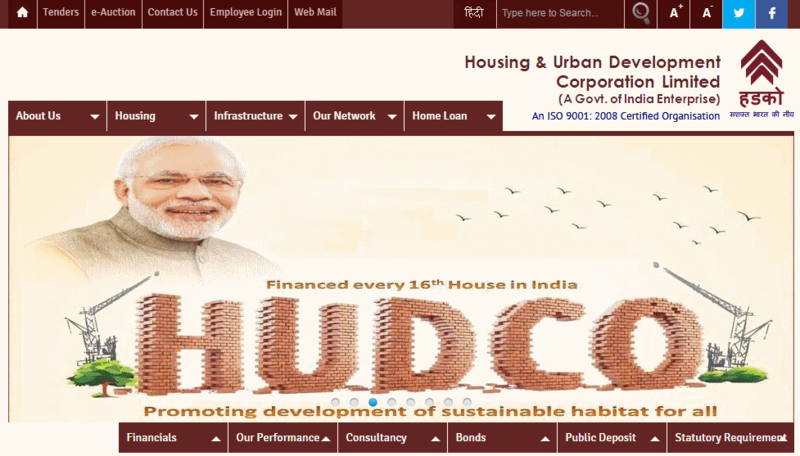 “HUDCO has a unique blend of business with focus on financing both housing and urban infrastructure, which has vast untapped opportunity in India. Focus on Govt. sponsored projects and ability to raise funds at a competitive price provides earnings visibility for many years. At the issue price band of `56-60, the stock is offered at 1.25x-1.35x its 9MFY2017 BV, which we believe is reasonably priced, and hence, recommend SUBSCRIBE to the issue,” said its research note. The brokerage house noted that high gross NPAs were due to large defaults from some of the private sector corporate. However, HUDCO has already done substantial provisions on the Private sector NPAs and stopped lending to them from FY2013 onwards. Choice Broking has also put a subscribe rating on the public offer. “Given the strong fundamentals of company and favorable industry scenario, valuation looks attractive as at the higher price band of Rs60 per share, HUDCO’s share is available at a P/BV multiple of 1.2(x). Average P/BV multiple of housing and infrastructure finance companies such as DHFL, LIC Housing Finance, L&T Finance Holdings, PFC and REC is currently stands at 2.1(x),” noted analysts at the brokerage house, bolstering positive HUDCO IPO recommendations. Analysts at GEPL Capital are also bullish about the prospects of HUDCO IPO. “Housing and Urban Development Corporation Ltd (HUDCO) stands to gain from operating leverage and also rise in the business. At a P/E of 15.4x we believe that HUDCO at discount as compared to its domestic peers. We assign a Subscribe rating to the IPO,” said GEPL Capital’s research note. Adding further to positive HUDCO IPO recommendations is LKP Research which likes HUDCO’s dual focus toward infrastructure development & housing finance, sectors that have emerged to be of primal focus for the Centre. With close to 90% exposure of its loan portfolio coming from state governments & their agencies, it has managed to maintain its AAA rating and gain access to a diversified & low cost funding base. “The HUDCO IPO, valued as 1.25X price to book value in its upper price band, is kickstarting the Centre’s disinvestment programme for FY18 in order to raise funds & unlock value. We believe that there the IPO is attractively priced considering its long standing relationships with state governments, comfortable NIM & debt position, ability to raise funds from a wide variety of institutional & non institutional sources, healthy asset quality & prudent approach. We thereby recommend a SUBSCRIBE on the HUDCO IPO,” said the research house. We will continue to add more analyst recommendations to this post. Meanwhile, head to this discussion page to stay updated about the grey market premium (GMP) in the informal market. ← HUDCO IPO Review: Benefit from urbanization?